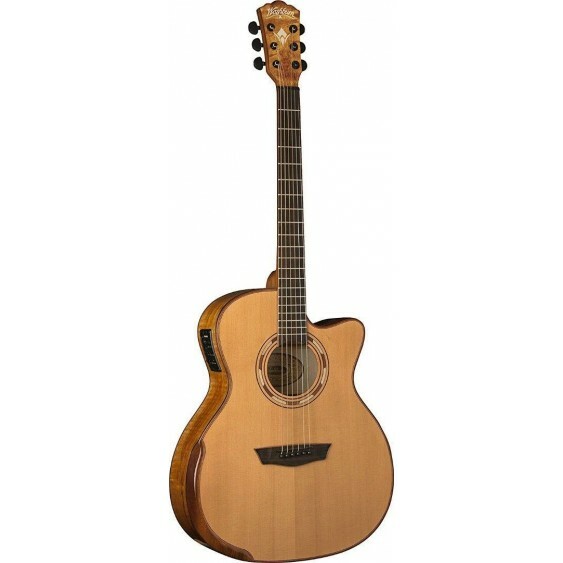 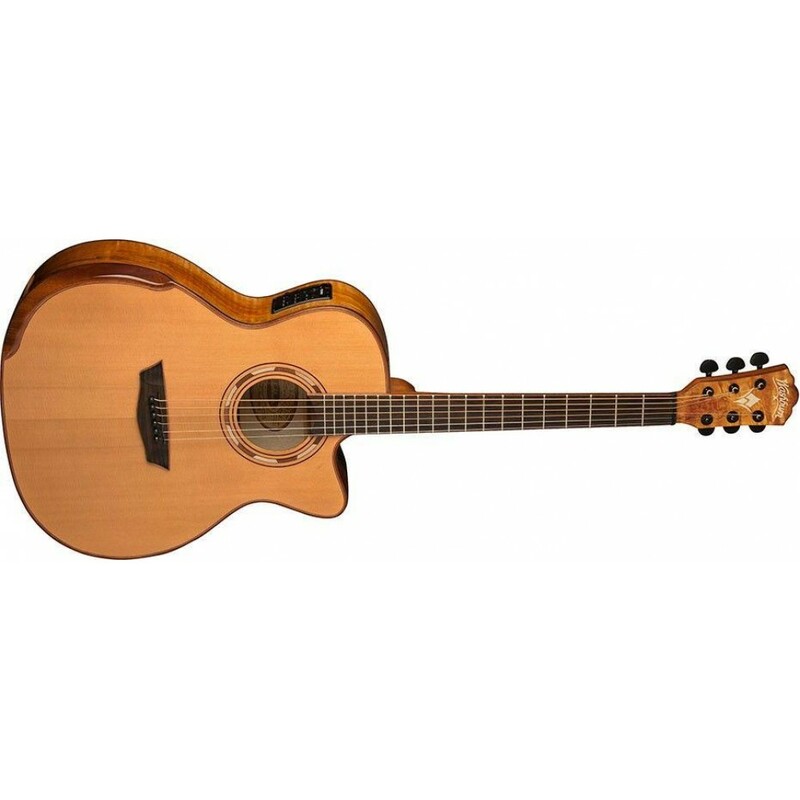 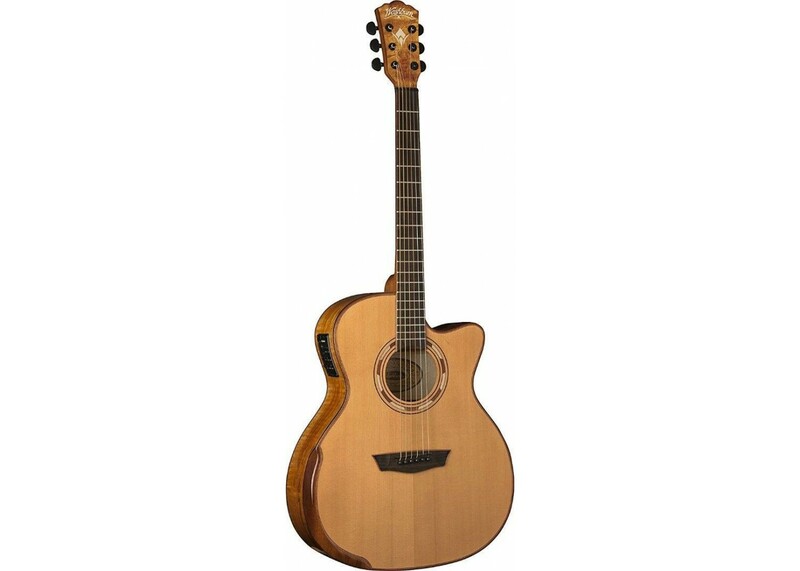 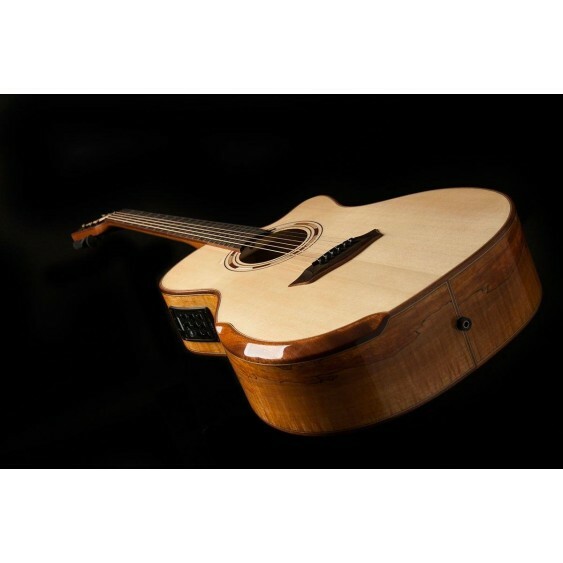 The WCG66SCE is a Grand Auditorium style acoustic/electric guitar with a venetian cutaway for superior upper fret access. 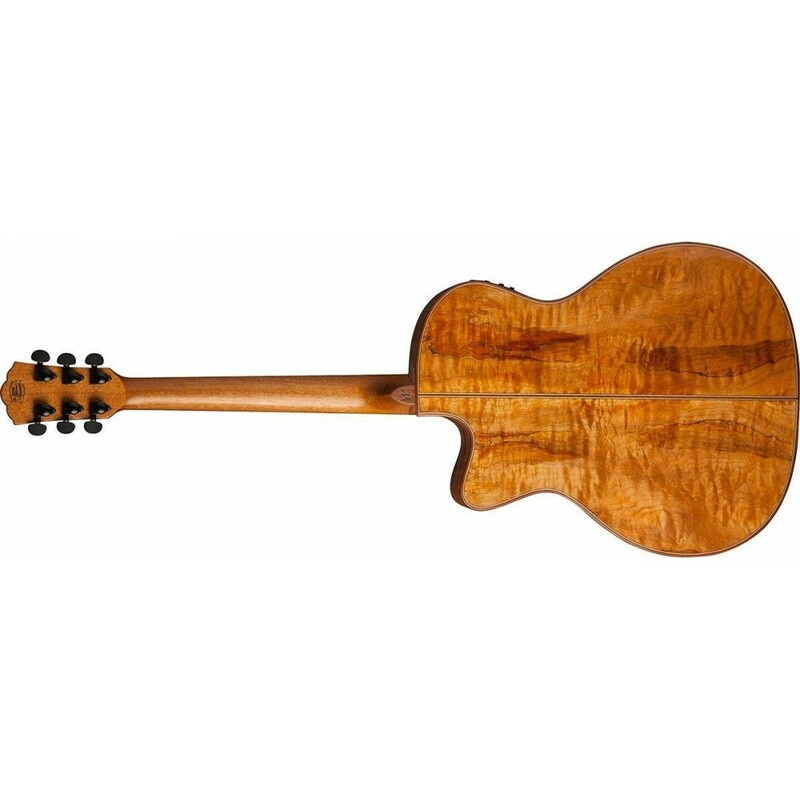 A highlight of the Comfort Series is the beveled strip of mahogany at the lower bout which becomes part of the mahogany top binding. The guitar features a book matched solid Cedar top, spalted maple back and sides, mahogany/maple bound body and headstock. The satin finished mahogany neck has an ebony fingerboard devoid of inlays and in tandem with the mahogany bound ebony bridge adds an aura of understated elegance. 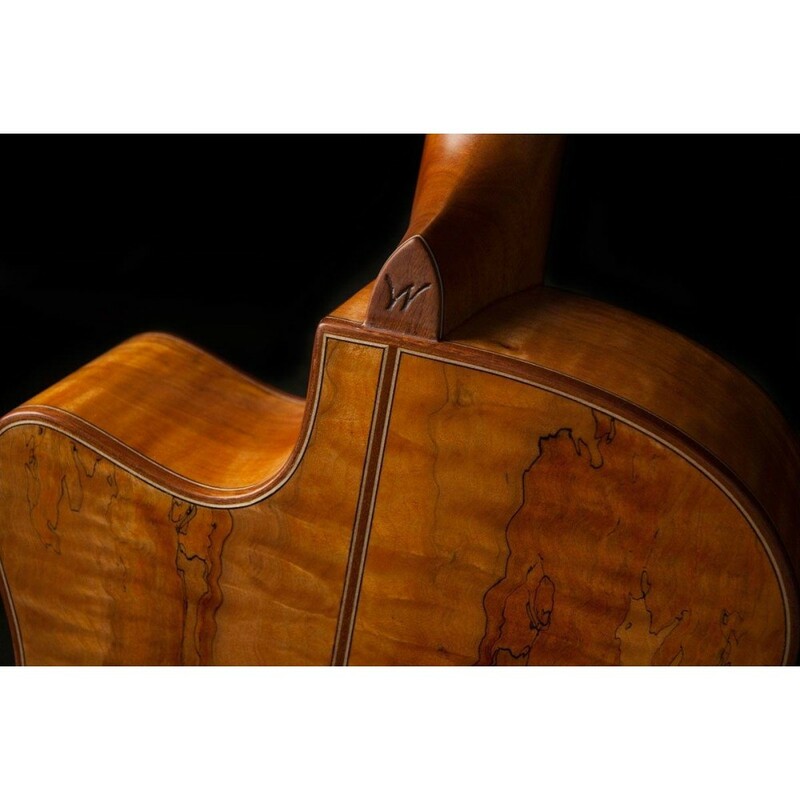 A maple/mahogany/maple strip splits the book matched spalted maple back as well. 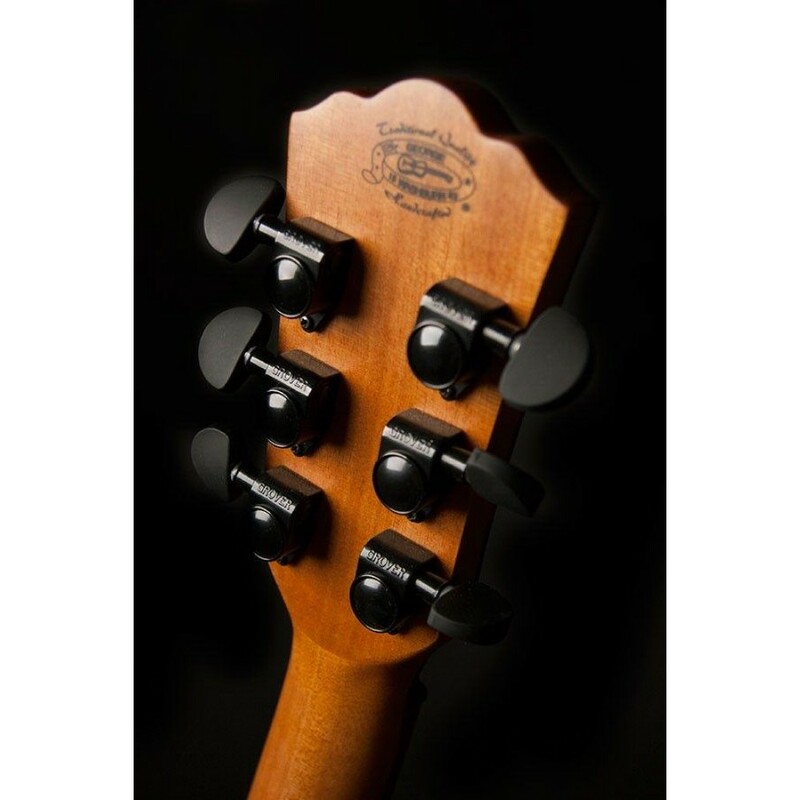 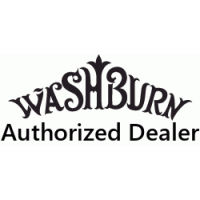 The spalted maple capped headstock features a pearl inlaid Washburn logo and stylized W as well as Grover® 18:1 tuners with ebonite buttons. The gorgeous rosette is made of alternating maple and mahogany. The WCG66SCE is a fantastic sounding acoustic guitar in its own right but the addition of premium Fishman electronics makes for an outstanding stage performance guitar. 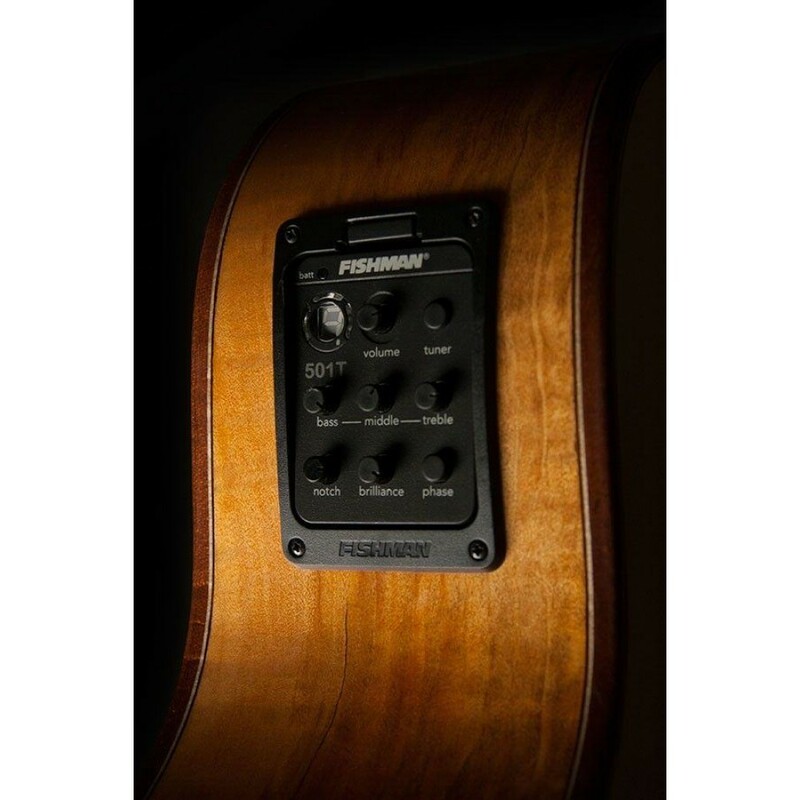 The Fishman® Presys+ is an integrated tuner/preamp system for versatile amplified tonal shaping.